The user agrees to assume any and all legal liability for the cost of repair or replacement in the event of loss due to theft, damage, negligence or misuse. 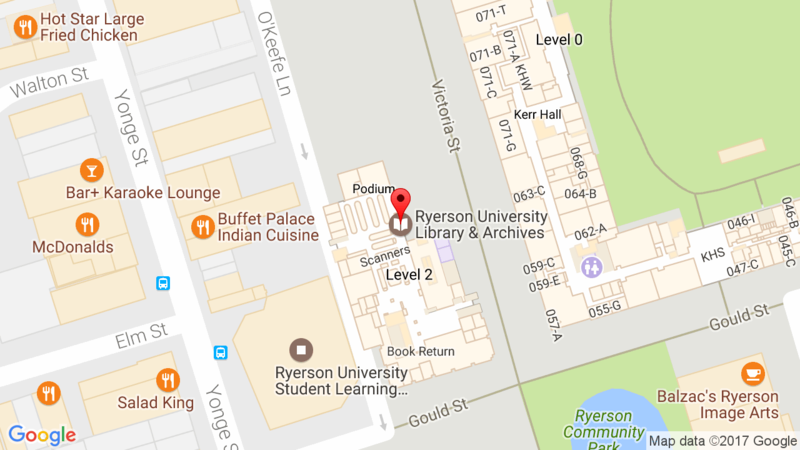 All Ryerson University students, both part-time and full-time, Faculty, Staff, and Continuing Education students with a valid library card may borrow a portable DVD player. Users must also be in good standing with the Library, i.e. no outstanding fines or liabilities over $20. Continuing Education students and any other students without a Ryerson One Card will be asked to present a piece of photo ID (government-issued photo ID. e.g. a driver’s license or OHIP card) with their library card. Eligible patrons are permitted to borrow one DVD player at a time. Portable DVD players are available for loan on a first-come, first-serve basis at the Circulation Desk. Loan Period: The loan period for DVD players is THREE hours. DVD players may be borrowed for use outside of the Library, but may not be signed out on an overnight basis. DVD players are due thirty minutes prior to the Library’s closing time. DVD players may be borrowed for up to three hours at a time. At the end of the loan period, the patron must bring the equipment back to the Circulation Desk in person. Patrons will be permitted to re-check out the same equipment (a maximum of one time) if there are no other patrons waiting. Patrons will have to inquire with staff at the Circulation Desk. Holds or advance bookings are not available. Overdue fines of $10 per hour (or each part thereof, with a $200 maximum) commence at the end of the three hour loan period. In other words, fines for a full hour apply even when the equipment is less than one hour late. Borrowing privileges will also be suspended for late return. The user assumes full financial responsibility. The replacement charge for a DVD player is $200, in addition to a processing charge of $10. Charges for missing accessories also apply – $20 for carrying case; $20 for AC-adaptor plus overdue fines. The suspension of borrowing privileges will also apply. A repair fee will be levied for damaged players. Any equipment malfunctions should be reported immediately to Library staff. DVD players must be returned in-person to staff at the Circulation Desk. Users will be required to wait momentarily so staff can verify that all accessories have been returned.